Entry Fee: $25 if received by March 20 or $30 afterward; make checks payable to Greene Giving (Greene Giving is the charitable community foundation that handles the money for the run). After March 18th, do not mail your entry because it may not arrive in time – plan to sign up at early registration, or on race day. 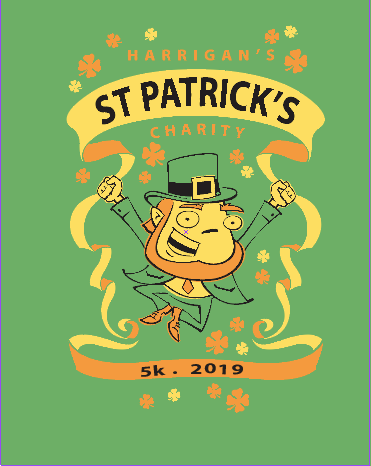 Must register by March 9 to be guaranteed a Harrigan’s Charity 5K t-shirt.